Have you heard of AWANA? Essentially, AWANA is a biblical, discipleship program for kids aged 2-18. Each week they play games, memorize scripture, hear the gospel, have a small group discussion, and participate in local and global missions. It’s been around for around 60 years and today more than 16,000 Canadian kids participate in the program. Globally, there are more than 20,000 churches are involved. My kids have been part of a very well run AWANA program at a church in Ottawa. I’m consistently amazed by how intentional this ministry is at proclaiming the gospel of Jesus Christ (every event, every week, the unvarnished gospel is presented) and getting kids involved and excited about their own discipleship process. My children have been working hard to get through the books and earn their awards. They’ve had to sit through special teaching times, write their testimony, find and interview a missionary, and lots of other great exercises, but the core of the book is all about memorizing, studying and understanding scripture. They are, essentially, going through a catechism. Catechism is simply a summary of the principles of the Christian religion that is taught in the form of questions and answers. The AWANA curriculum presents concepts to the children and them gets them to reflect on, study, and learn the answers to some important theological questions. My son Edison is in a book right now where he’s learning “How do we know the bible is true?” and “What do I need to know about God, the Lord Jesus Christ and the Holy Spirit?” Each week they memorize an answer to the question, define important terms, study and memorize the scriptural evidence to support it, and then put it into action. And they love going because it’s also a lot of fun! I am so thankful for this program because it is giving them a love for God, a great understanding of theology and salvation, a passion for worship and service, and helps them practice memorizing scripture. It has opened up a world of new insights, new conversations, new convictions, and new hope as they learn to put more faith into Jesus Christ. I can see that my kids are getting the tools to become strong Christians, and as they progress will be challenged to teach and lead others to the Lord and in scriptural study. I didn’t have this. I actually went to AWANA as a kid, but I didn’t really memorize much, participate, and didn’t last for more than a year or two. My knowledge and experience with the Christian faith came later in life and I still feel like I’m playing catch-up for all the years that I wasted my time with other, lesser things. I didn’t practice memorizing scripture and I struggle with it today. 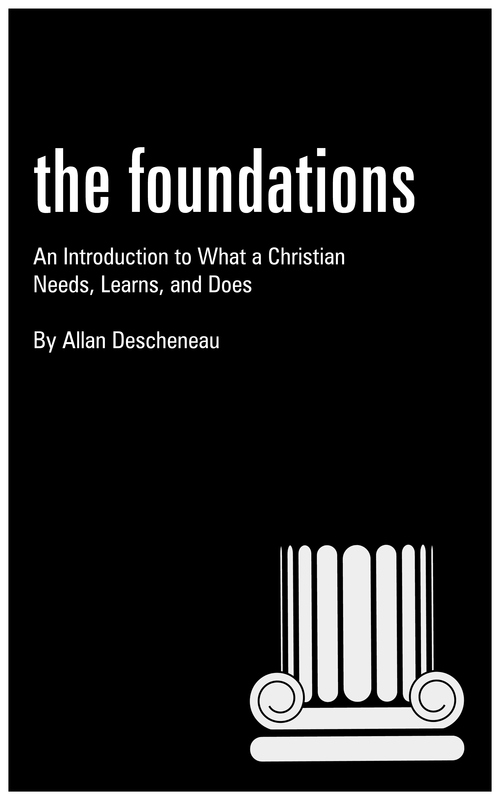 I didn’t get a good biblical grounding with a decent catechism so I’ve had to go searching on my own, missing huge portions of teaching because I simply didn’t know it existed. I didn’t have a good model of discipleship in the Christian faith while growing up, partly because I didn’t pay attention, and partly because my church had a fairly useless youth group and an uninspiring Sunday School program. Sure, I went to everything, but I can’t remember one thing I learned about Jesus there. That story is played out all the time in thousands of churches. People come in, get saved, and don’t know what to do next. Their excitement wears off and they either leave the church, bounce around looking for spiritual experiences, or join the throngs of nominal believers who are overcome by temptation, live in secret sin, turn in to consumer Christians, pray only when things get tough, read their bible when they feel guilty, or slip into a funk and just keep doing same devotional book for years and years – that’s it. Millions of nominal Christians who have not grown in their faith, but are just repeating the same learning and experience over and over and over. They are stuck in their maturity process, or never really entered into one in the first place. It is my deepest hope, and the passion of my life, to change that. I want you each to be passionate disciples of Jesus Christ who have the tools and inspiration you need to pursue a deeper, consistent and more meaningful relationship with God. You might recognize that as the tag-line on the blog I write. That thought is the driving force of my life and ministry. It all essentially comes down to this thought: If I am to love and follow Jesus, I must know Him. I must know who He really is, how He thinks, what He’s done, how He plans, what His relationship with different people at different times has been like, what He expects of me, what He intends to do with me, to give me, to take from me, to do to me. I need to know Him. Open up to Romans 15:4-6 and let’s take a look at a theme verse for what I’m talking about here. If I am to know Jesus, find my “hope” in Jesus, live “in accord” with Jesus, “in harmony” with the body of Christ, “glorify God, the Father of our Lord Jesus Christ”, I must know the Scriptures! We have been given this book, the Bible, to instruct us. It was “breathed out” by God so that we would be taught what we need to know, rebuked for the wrong actions and thoughts we have, corrected and restored – a word which also means improved in our life and character, and trained – which is a word that means educated and instructed – a word used for cultivating the mind and morals of children. Herein are commands and admonitions for taking care of the body and soul. It has been given to us so we may know the story of Jesus and know how to live a Christ-like life. There’s a key word there that I want to pull out and examine. It’s important to understand when we are talking about the steps to Christian maturity that it will require something very important of us: The word is “endurance”. Something sadly lacking in the Christian church today, and is the reason why we don’t have enough mature believers. Let’s talk about this word “endurance” for a moment. First, let’s note this: endurance comes from God. Endurance is a gift from God. I’m not about to tell you to pull up your socks, get to work and white-knuckle your way into a better relationship with Jesus. I’m not going to call you lazy or tell you to try harder to read your bible more. It’s not about getting up earlier, staying up later, gritting your teeth and making it happen. Yes, there will be some times where you will need to use some discipline, and it will require some effort, but running the race of Christian maturity isn’t about the effort you exert – it is about depending on the resources God gives you. Look at Romans 15:5, “May the God of endurance and encouragement grant you…”. The endurance that I’m talking about comes from God. It starts with Him working in our heart, and then continues on to where we begin to pray for endurance, and then it comes as a gift as we work it out over a life-time of faith. He starts it, He finishes it. Philippians 1:6 says, “And I am sure of this, that he who began a good work in you will bring it to completion at the day of Jesus Christ.” God begins the work, God completes the work. In the meantime, we lean on Him and ask Him for the endurance we need to accomplish what He has set out for us to do. Second, let me say this, we gain endurance over time, not all at once. I’ve told you this before, but I want to repeat it – There are phases to Christian maturity, steps on the process. In scripture, at different times, believers are called babies, children, young men, old men, soldiers, civilians, athletes who are running a race, and those who have finished the race who are now called witnesses. There are phases in spiritual development, and with each phase comes a need for new skills and training, new temptations crop up, and new perspectives. 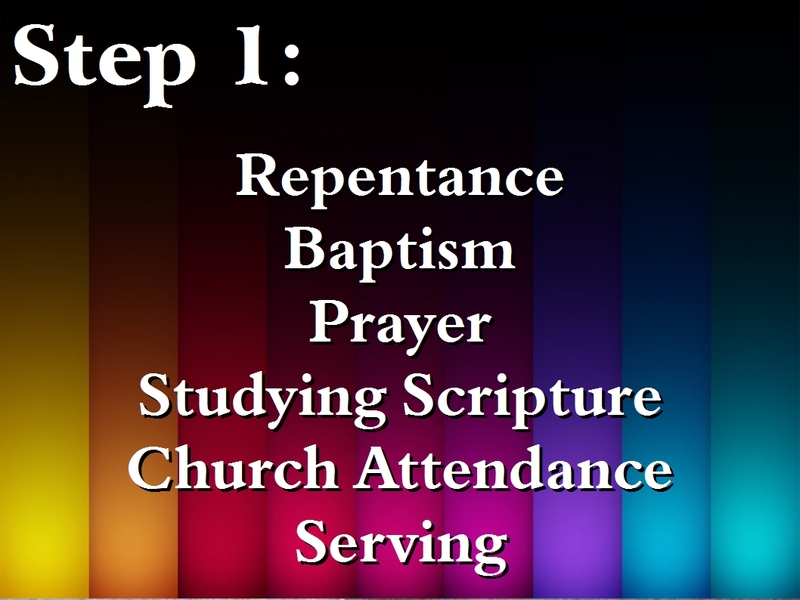 The first steps of a Christian include Repentance, Baptism, Prayer, Studying Scripture, Church Attendance, Serving in the Church. That’s what the average new believer is going to experience. They hear the Gospel, meet Jesus, and then they want to get to know Jesus more. They are now face to face with their life of sin so Repentance, Forgiveness and Faith is a huge part of their walk – it’s almost all encompassing as they feel forgiven, know Jesus loves them, thanks Him for dying for their sin, and then turning their backs on the sins that are getting between them and God. Each Christian is then presented with a step of obedience that each must take – a public declaration of their salvation before others, and the ordinance (the order from Jesus) to be baptised. The four most important things that new Christians need to do is to pray regularly, study scripture, attend church (in other words, be with other Christians and under good Christian teachers), and work out their faith by serving others in simple ways. This is the life-blood of their faith, the very core of their obedience. This never changes at any level of Christian maturity. Prayer, study, attendance and service are the most essential ways that we meet Jesus, learn about Jesus, learn about our faith, and obey what Jesus says. For the rest of our lives, everything we do will be built on these four disciplines. 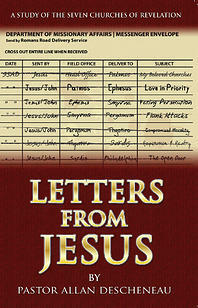 If I am to Love Jesus and Follow Jesus, I must Know Jesus – and I get to know Jesus best through these four disciplines. After obeying Jesus in those four areas for a while God will begin calling us to get more involved and to give more of ourselves to Him and His church. We will begin needing answers to deeper questions, hitting sins that we can’t overcome by ourselves, needing conversations that need more time that we get after church, we will desire Christian friends to replace the ones we lost when we became a Christian, we will need more information about Jesus, more experiences with Jesus, and a better understanding of the person and work of Jesus. 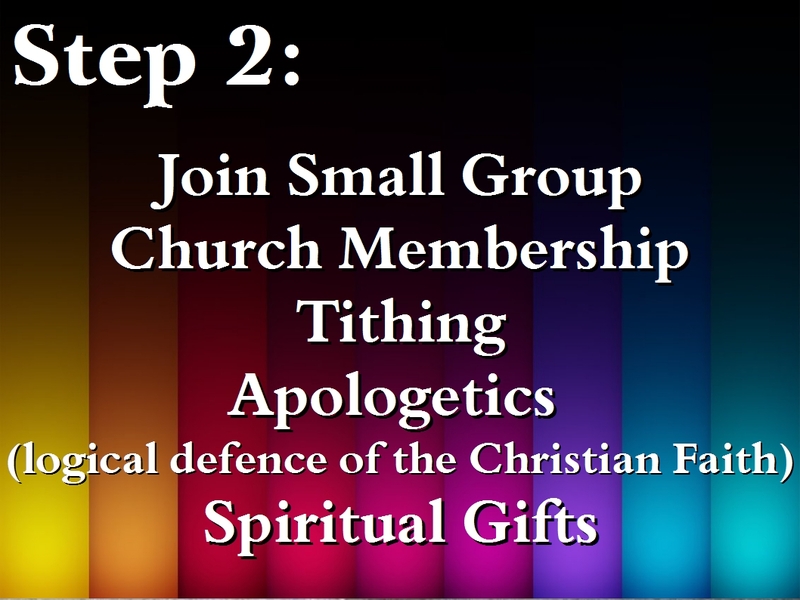 This is what comes next: Joining a Small Group, becoming a Member of a Church, begin Tithing, study Apologetics, being Discovering our Spiritual Gifts. These seem to be the next logical steps in Christian development. Again, this isn’t perfect, and isn’t universal, but it’s quite standard. Joining a Small Group and becoming a Member of a Church are natural and important part of progressing as a believer. You love Jesus, are learning to relate to Him, and as you pray, study, attend and serve, God naturally calls you into a deeper relationship with Him and His church. I’ve talked about that before, so I don’t need to belabour it. It is also around this time when the person starts realizing that there are areas of their life that they haven’t turned over to the Lordship of Jesus – and the biggest one is almost always their money and posessions. They realize that scripture tells them to be generous and to contribute financially to the work of the church. This is a huge step for some people, and is a very simple one for others. It’s a step of necessary obedience that happens when a person desires to go deeper with God and give a greater portion of themselves to Him. Another thing that happens around this time is that a bunch of really tough questions come up like: “Why does God allow suffering and evil to exist?” “How reliable is the Bible?” “Do science and the bible conflict?” “How can we know for sure that God exists?” “What about all the other religions?” – some of these can be earth shaking, faith challenging, confusing, and even painful questions which expose the cracks in a person’s faith in God and understanding of scripture. This is where it is so important that the church, the mentor, the small group, and the individual Christian, start to look into studying Apologetics – which is the logical and rational defence of the Christian faith. This is where the Christian really solidifies their faith and finds good answers to those deep, important questions. As a sort of bonus, after studying, one of the amazing things that starts to happen is that hymns and spiritual songs start to come to life. Consider the words of “Before the Throne of God Above” which is chock full of scriptural imagery and theological language. “Before the throne of God above I have a strong and perfect plea. A great high Priest whose Name is Love, Who ever lives and pleads for me. Because the sinless Savior died my sinful soul is counted free. For God the just is satisfied to look on Him and pardon me. After some time studying the Bible, this song really starts to come alive. Studying the word not only fills our head with knowledge, but informs our heart and deepens our worship times. At the same time, as they study, believers also begin to discover their Spiritual Gifts. Up to this point they have been serving in general areas in the church, or perhaps working out of their natural talents – like computers or music – but now they discover that God has given them something they didn’t have before they got saved, something special to use for His Kingdom. This is where they do a Spiritual Gifts inventory, start to explore other areas of service, where they start to hone in on their life’s mission and are encouraged by other believers to live it out. Step two is a very exciting time for many Christians because they really start to come together with who God has created them to be. Step three is where things start to get harder, because this is where the need for “endurance” really kicks in. This is where the chinks in the armour really show up. Moving from Step Two to Step Three is a seismic shift, and it is very challenging. Most Christians don’t make the leap. Instead, they stay in Step Two, or slide back to Step One. If you haven’t been consistent in prayer, study, attendance and service, Step Three will be too big a leap. If you haven’t gotten past the big questions, don’t have the support of a small group and a committed church, and have not begun to realize the cost of following Jesus even in tithing, then Step Three will seem impossible – only for super-Christians and trained professionals – not to be tried at home. Step Three is where a Christian really moves into action. In hockey terms, this is really where they get the ice-time – which means they get more goals, more skating, see more intensity, and learn lots about the game – but they also get hurt more, suffer more injuries, and discover the weaknesses in their game. 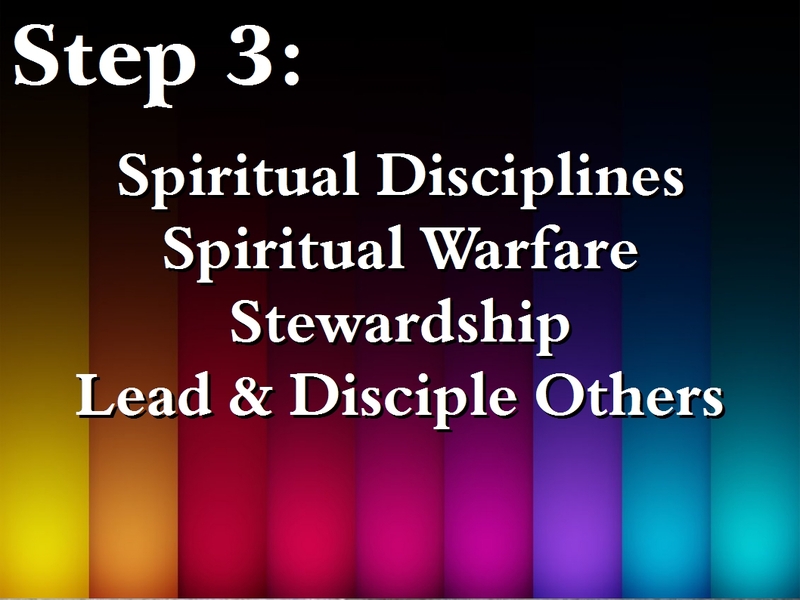 Step Three is where the Spiritual Disciplines get put into practice, the Christian starts practicing Spiritual Warfare, where they practice Stewardship of their Time, Talents and Treasures, and where they start learning how to practice Leadership and proactively Disciple others. Technically, the Christian has been doing this all along, but now they really kick it into high gear. I used the word “practice” over and over, because that’s what they are going to do now. They are going to really practice Spiritual Disciplines in a way they haven’t before. They learn the arts of meditation and fasting. They begin to practice the disciplines of simplicity and solitude. They learn the power of confession and worship. New levels of maturity lead to new experiences in discipline and spiritual power. They also begin moving away from general areas of service (which they are leaving open for the Step One Christians) and specifically serving in the area of purpose that God designed them for. They discover their greatest, God-given purpose purpose as husband and father, a wife and mother, and as a teacher or preacher, evangelist, missions worker, or administrator. They enter into mercy ministries, start giving away their stuff to provide for others, or leading teams to greater effectiveness. This is where their life, their family, their ministry, and their church really start to thrive as they serve Jesus with their gifts. They also start to experience what it means to practice Spiritual Warfare. Certainly all along they have realized that they are tempted by demons, that Satan is real, and they have been praying against his works and effects – but now they start storming the gates of Hell as Jesus calls them to go on the offensive. There is a lot of study and spiritual development in order to do this, but it’s amazing to experience. And certainly, all along, they have been turning more and more of their lives over to Jesus, but there seems to be a point where Jesus says, “Ok, now I’m going to do something extra…” and He starts asking for things that are more difficult to give up. He wants more Time. He wants us to reevaluate how we see and use our possessions and wealth, even our hobbies and collections. The little stuff that we never thought about before suddenly becomes a big deal – how long we spend watching TV, what kind of movies we watch, the books we read, what kind of car we drive, our commitment to other clubs, organizations and teams… everything seems up for grabs at this point! Jesus really starts to stretch us and prepare us for something greater. We talked a lot about that last week. Step Three is also where we start to realize that we have come a long way – maybe it’s only been a few years on the calendar, but our former life feels like an eternity ago. God has really changed us and has made us something new, and we look around and see a bunch of non-Christians, new Christians, or nominal Christians who are floundering in their faith and need guidance. For the first time you realize that God is telling you to walk with one of these folks, listen to them, guide them along a path, help them in a special way – to be their mentor, their leader, their guide. And this requires some skills, some training, some time, some emotional energy, and some spiritual maturity. This requires humility and perseverance, and a strong core of faith and dependence on Jesus Christ. Step Three is a place most Christians never get to experience, but it is a truly wonderful adventure. It’s never boring, and is a place where you really get to see what God can do. You meet a Jesus you never knew before. One final note on endurance, and this is, I believe, the reason that many people don’t get to Step Three of their maturity process – because in order to build endurance, you must suffer. The Christians you look up to, the ones who have great character, who exude hope, who love Jesus, who know Jesus, who listen to Jesus, and who don’t live with shame, who know God’s love, who overflow with the love He is pouring in their hearts, who have a supernatural power by the Holy Spirit – the Christians we want to be like and who amaze us – have suffered. Many of us will look at God and say, “I’d rather have comfort than character” and we miss out on taking the next step of maturity. I don’t want that for you. I want you to learn to love scripture. I want you to love Jesus. I want you to love God, and love growing in Him. I don’t want you to be afraid of suffering, but embrace it and even rejoice in it, to trust God’s path and keep walking because God is doing something great in you and will use you greatly for His glory, your good, and the good of those around you. 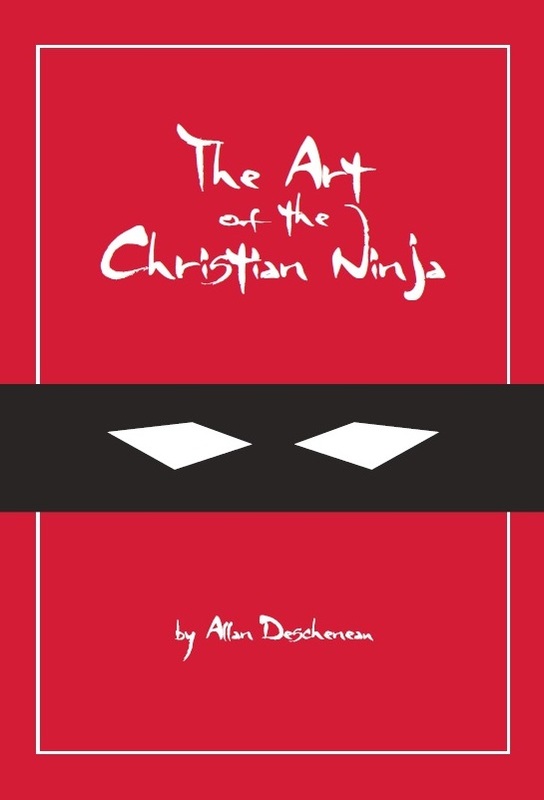 This entry was posted in Discipleship, Sermon and tagged AWANA, Christianity, discipleship, God, Jesus. so good, sorry i missed it but sometimes it’s more powerful when i read it. thanks so much.